Gujarat’s net enrollment ratio, as percentage of the enrollment data of grade one (2008-09) and grade five (2012-13), including enrollment in unrecognized schools, is one of the worst in India, despite the loud talk of the annual celebration of the Kanya Kelavni school enrollment drive. 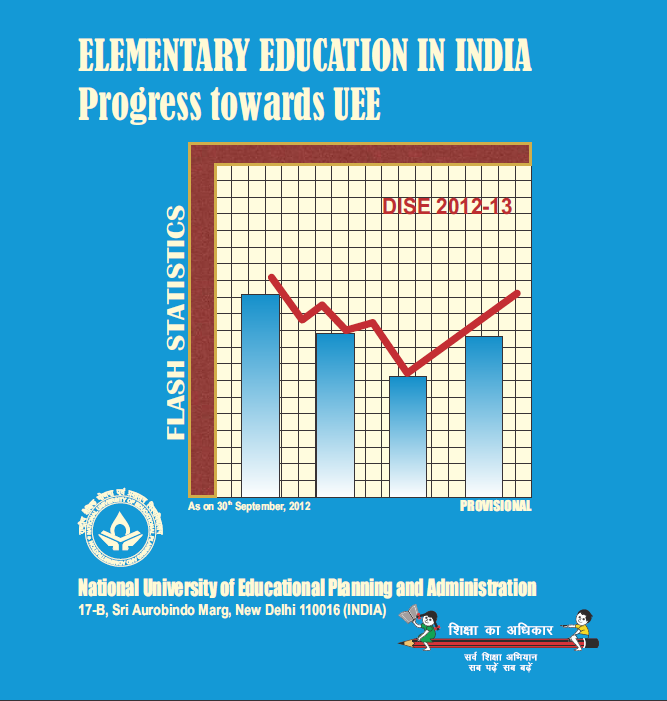 This has been revealed in the new Flash Statistics of the 55-page report, “Elementary Education in India”, released by the Ministry of Human Resources, Government of India (GoI). According to the report, Gujarat’s net enrollment ratio at the lower primary level stood at 83.99 per cent as against the national average of 90.78 per cent, suggesting poor enrollment drive for the children of school-going age. In fact, as many as 20-odd states and union territories out of a total of 35 have had a better net enrollment ratio that Gujarat’s at the lower primary level – and the situation is not very different with the upper primary level (classes VI to VIII); in fact the rating at the upper primary level is equally bad. At the upper primary level, the net enrollment ratio of Gujarat in 2012-13 was 67.42 per cent. Though slightly better than the all-India average of 64.24 per cent, it was worse than several major states like Assam (70.20 per cent), Himachal Pradesh (75.26), Jharkhand (68.53 per cent), Madhya Pradesh (75.19 per cent), Maharashtra (71.51 per cent), and so on. While calculating education development index (EDI), the report suggests that Gujarat may rank quite high in educational infrastructure, but school buildings and other facilities are not enough for quality education. It requires human inputs, which is where the state is poor. Gujarat ranks quite high in infrastructure both at lower and higher primary level, but as for the state’s “outcome index” – which include factors like average number of instructional days, teachers’ working hours, enrollment in government schools, enrollment of SC, ST and Muslim children, dropout rate, and transition from lower to upper primary level – Gujarat’s ranking is one of the worst in India. Thus, Gujarat ranks No 29th among 35 Indian states and union territories in the outcome EDI at the lower primary level with a rating of 0.558 on a scale of one. Here, Tamil Nadu ranks No 1 with a rating of 0.916, followed by Chhattisgarh (0.832), Madhya Pradesh (0.737), Karnataka (0.790), Maharashtra (0.776), Andhra Pradesh (0.775), and so on. The “outcome index” of Gujarat at the upper primary level is no better, ranking No 20th among 35 Indian states and union territories. The same is true of “access index” – which is calculated on the basis of density per 10 square kilomtres, availability of schools per 1000 children, and ratio of lower primary to upper primary schools. Here, for lower primary schools, Gujarat ranks one of the poorest – 34th among 35 Indian states and union territories. At the upper primary level schools, Gujarat’s ranking is 15th.